There are two pages with four counting clip cards each and one page with two clip cards. All numbers from one to ten are included. Print the pages you need. Laminate them and cut the cards apart. Provide clothespins to mark the correct answers. 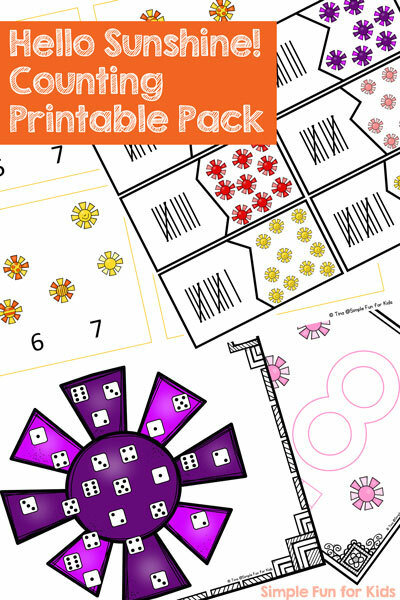 While these are clip cards, you don’t have to use them as such if you don’t want to! You don’t even have to cut the individual cards apart if you use other ways of marking the correct answer, like dot markers, dry erase markers or manipulatives. That way, you can still laminate to add extra durability and reusability or use sheet protectors. 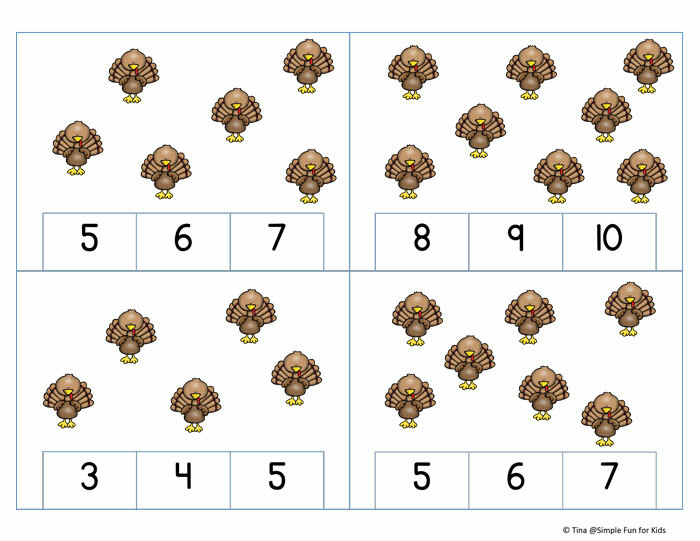 Download your Turkey Counting Clip Cards (1-10)!